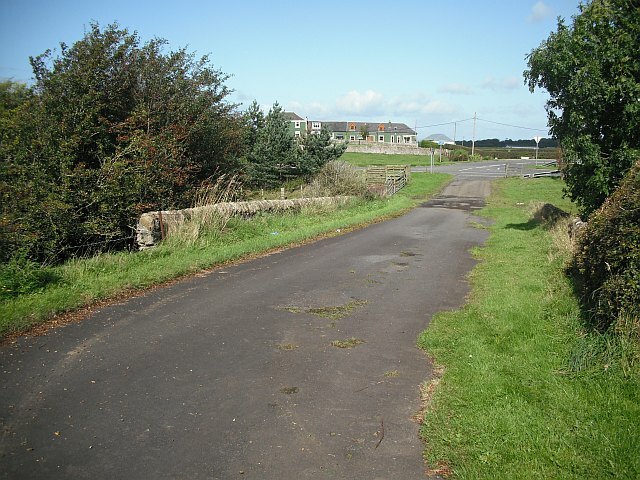 Redundant road crossing the Capringstone Burn. The road has been replaced by Towerlands Road. There are several interesting sites in NS3538 that have not yet been captured for GEOGRAPH. For example the 'Thrup'ney Piece' Kirk at centisquare 12 (built 1780), the Dunlop Memorial Hall (Dedicated to a local loon who invented the pneumatic tyre), and the Obelisk (War Memorial) on Corsehill Mount. Any present day GEOGRAPH-ers ready to plug the gaps.